May is such a hopeful month. Graduations, memorial day, the hint of summer, the best part of spring… it has it all. 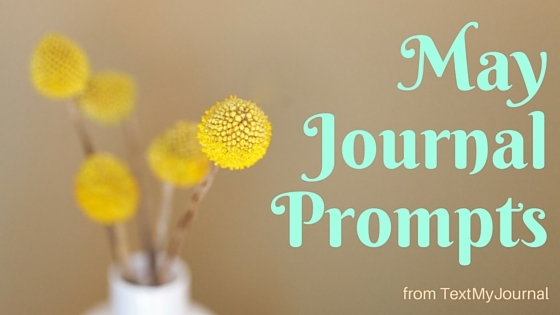 Here are 31 journal prompts to help you get the most out of May! What’s a compliment you’ve received lately? What is challenging about your life right now? Who has been your biggest support in the last year? Draw a pie chart of your favorite foods. What is something you do exceptionally well? What task have you been putting off? Write about a childhood friend? Fill a page with your favorite inspirational quotes. What moment are you most proud of this week? What sounds did you experience today? What dream do you hope to pursue in the next year? Write about your favorite childhood movie. Write a haiku about your day. How did you spread kindness today? What is the most fascinating place you’ve visited? What item will you cross off your bucket list next? What do you know now that would have been helpful a year ago? Draw a map – real world or imaginary. What is something you’d like to let go of? What healthy choices have you made this week? 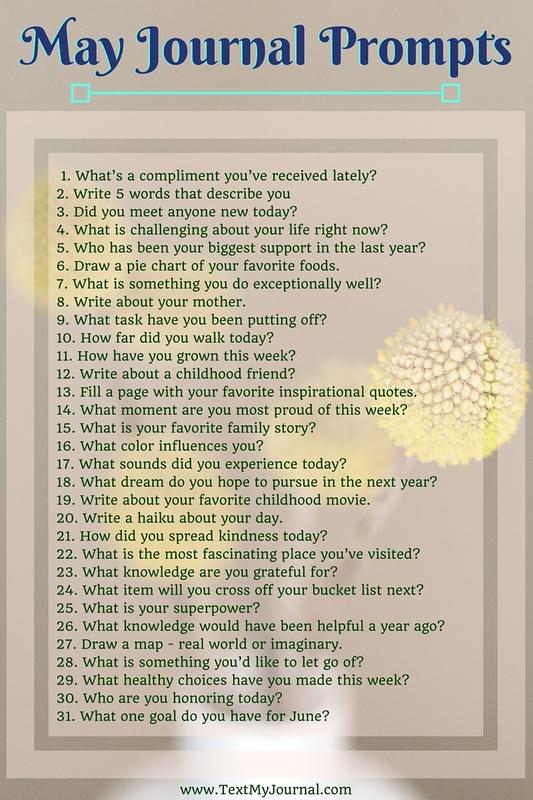 What one goal do you have for June?